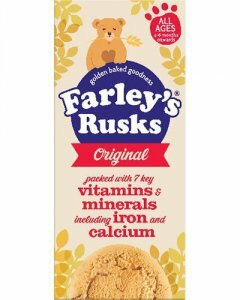 Heinz Farley's Rusks Original are a great way to gradually introduce your baby to solid foods. Tried and tested by mums for generations this unique recipe contains 7 vitamins and minerals like vitamin D and calcium which work together to help build strong bones and teeth. Give sparingly as a snack or mixed in milk as a first food.